Option 2: 4 hour room rental. 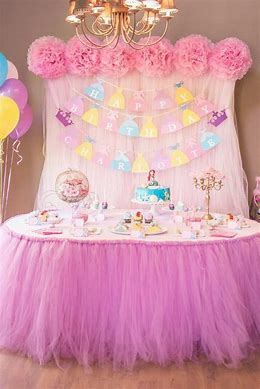 I decorate with theme of your choice and everything is set up ready to go. It includes plates, cups, forks, napkins. I will have a couple games for kids and photo props ready. I do all the clean up after party is over. All you are responsible for is food. $50 deposit requires at time of rental. We will meet or discuss your party as often as you like to make sure it’s perfect. Four Hour Minimum Covers tables and chair set up. You are responsible for decorating and clean up. $50 deposit at time of rental.